I joined Ben Simkin’s Mastermind in January 2015, and to date, it is one of the best things I’ve done hands down. For those that don’t know, The Mastermind is a 12-month intensive and hands-on program designed and delivered by Ben Simkin, one of the Internet’s most successful marketing experts. The Mastermind teaches how to bring their business growth to the next level by generating high quality leads on demand, making more profit from your customers, and adding additional sources to your revenue streams – without that much extra work. I was already successful in marketing and business, but being a big believer and advocate of always continual learning from others it caught my eye. I had long been a follower of Ben Simkin and his impressive track record in business; his unparalleled experience has made him one of the most successful marketing experts on the planet. After hearing that Ben has generated over $1.45 billion in sales through his advanced business growth strategies and was sharing those strategies through his Mastermind, I wanted to optimize my own business and what I was capable of, so I just had to check out the program and through that program, join Ben’s inner circle. The lessons and strategies I learned from Ben Simkin are too long to list here, but I’ll highlight a few things about business growth that I learned from Ben that I found most helpful in my own work. I’ll then leave you with some of the most profound things I learned about Ben through The Mastermind that have truly changed my own thinking. When he shared his strategies for growing a multi-million dollar business, I was surprised to see that a lot of what he taught was the complete opposite what most people preach. For example, one of the principle's Ben teaches is fully optimizing what he refers to as your assets inside your business, and he lays out 37 different types of assets that you likely already have within your business that you can optimize. One example that sounds simple and not ground-breaking, yet Ben proved to be effective is pursuing old leads. Most people don’t even try to convert leads from 3 months or even 3 years ago to paying clients. Their first inclination would be to think that their old leads didn’t convert and no longer have value, so they would go and spend thousands more dollars on advertising to generate NEW leads. I learned from Ben, and his direct experiences of success that it is possible to almost at the flip of a switch turn old leads into paying customers. 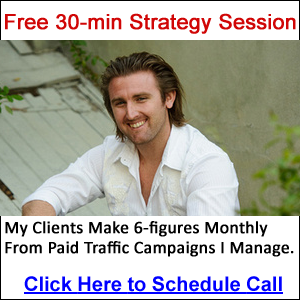 I tried this, and I was amazed at how many clients I was able to generate from my old leads, without having to spend any money, or even put in that much effort. Ben shares a lot of things that he learned through his own mentor Jay Abraham, and one thing that I found so important for me to take away from the mastermind was the importance of having a moral code. Developing and working within a moral code ensures that you understand that you have a moral obligation to help your client achieve their goal, before your own. Clients value this in who they give their business to, and therefore becomes a core value and excellent strategy to build client loyalty while advancing you as a leader within your field. One of the most profound things Ben shared is something that would be somewhat counter-intuitive to most business people who want to make a profit. He taught us that you shouldn’t wait to get paid to serve your clients, and that you should take a service approach to your prospects from day one. He made me rethink the way I look at my clients and my role within their lives and work; I am there to serve them and bring them closer to their goal, and once I do that, I will reap the rewards of their payment and loyalty. There you have it, I hope that helps!